This extension to Memberium gives you the ability to empower your customers to create sub-accounts for their own use. Your customers can enroll and remove sub-accounts (called “child accounts”) through a self-service interface. Each child account is a full-fledged Infusionsoft contact that can be independently marketed to, enrolled in campaigns, etc. Each child account also gets its own WordPress login so that plugins like LearnDash will recognize each child account as a separate user. The system is called “Umbrella Accounts”, but you may also see it referred to in other ways such as “Parent/Child”, “Group Accounts”, “Team Accounts”, “Hotelling”, or “Corporate Accounts”. It is not the same thing as white labelling, although you could create a white labelled offering using Umbrella Accounts as the basis. Looking for video tutorials on how to setup Umbrella Accounts with your Memberium site? Have a look at our 6 training videos that walk you through how to setup Umbrella Accounts on your membership site step by step. This extension is part of the Memberium “Pro” and “Advanced” subscription levels. It is not available at the standard subscription level. These two systems are vaguely similar in organization, but very different in implementation. The bright line of separation is in who pays for the account. If all accounts are paid for by a single individual who manages the others, and from whom access is inherited, then you probably want an Umbrella account. If each individual pays for their own account but someone gets credit for the sale, then you want an affiliate. Empowering your customers to create their own child accounts can have powerful benefits to your business. When customers simply share their logins, the people they share them with are invisible to you. Since child accounts are created as fully independent Infusionsoft contacts, you have the capability to market to them independently. This increases the chances of your offers being seen and accepted since it multiplies your audience size. Umbrella accounts are fundamentally different from buying multiple accounts using a single credit card. Umbrella accounts are lumped together and centrally managed. This leads to higher retention since the account isn’t typically cancelled as long as anyone on the team is still using it. Also instead of multiple credit cards being charged with multiple people to follow up with, there is a single point of contact. Corporate accounts often want to enroll groups of people from their company into a program but want billing and account management to be handled from a centralized interface so that their employees don’t have to use their personal credit card to buy and maintain access. Umbrella accounts make this a breeze. Often times people who share their logins to your site aren’t pirates who have your ill-will at heart. They’re usually your most passionate caring customers who love your content so much that they want to share it with people that they’re close to. By giving them the power to create individually handled child accounts, you can turn account-sharing into a business opportunity by offering additional child accounts at a reduced rate. Unlike affiliate sales which are more of an arms-length relationship between the affiliate and the end-user, Umbrella accounts can facilitate empowering your partners as sales people who personally resell your service to their clientele. Examples of this would be coaches or trainers who buy child accounts on behalf of their customers. Umbrella accounts come in two general types; parent accounts, and child accounts. Parent accounts hold the access, and children inherit that access from the parent. By default, a child account inherits all of the tags that a parent account has. This behavior is core to the umbrella account system, and cannot be completely disabled, although it can be modified to work a number of ways, through whitelisting and tag translations. Extension Enabled – Turn the extension on or off. Child Added Actionset – The actionset to run on the child account when a child is enrolled by the parent account. This is the most critical action, and it should create the user’s password, send welcome email, etc. If this action is not supplied, then the child contact record is created using the supplied information, but no further action happens. Child Cancel Actionset – The actionset to run on the child account when a child is cancelled by the parent account. Parent Added Actionset – The actionset to run on the parent account when a child is enrolled. Parent Tags – The tag(s) held by parent accounts to allow access to parent shortcodes. Child’s Field to Match to Parent – The field on the child account to use to look up parent accounts. Parent Field to Match To – The field on the parent account to use to match up child accounts. Minimum Child Accounts – The default minimum number of child accounts a parent starts off with before any other factors are added. Additional . Whitelist Memberships – On/Off – whether or not to allow the child account to inherit membership tags. By default the child account inherits any/all membership tags held by the parent account. If whitelisting is used, then only the whitelisted tags can be inherited. Tag Whitelist – A list of tags that the child can inherit from the parent account. Parent Cache TTL – Default 86400, this is the age of the parent account to use from cache before refreshing from Infusionsoft. Inherited Fields – Defaults to none. This is a list of Contact Fields that will be copied from the parent account down to the child account. Additional Children Field – This setting optionally points to a contact field on the parent record that will be used to increase the child count. You can select any field from the contact record, however it should be a field that contains a simple number value. The value of this field will be added to the “Maximum Sub Accounts” value. If the number in this field is negative, it will be subtracted. This screen has settings for two different tag based features, Tag Grants and Tag Translation. Tag Grants gives you the power to give your parent accounts additional child slots based on which tags the parent account has. Each tag they have can grant a different number of child slots. You can assign a value to each tag, and that value will be added to the minimum number of child accounts that the parent has. To delete a tag from this list, simply set the seat count to zero. This method of granting child slots can be used either with or instead of the other settings for child slots. The second feature gives you the ability to translate tags that the child inherits from the parent. For example, if you wanted the parent with a “Gold” account, to have children with “Silver” accounts, you could whitelist the membership tags to be inherited, and then add tag translations so that “Gold” would be translated to “Silver”, “GoldPAYF” to “SilverPAYF”, etc. This screen gives you the ability to give additional child slots based on which active subscriptions the parent account has. This is a powerful self-service tool to let parent accounts manage the number of child accounts they have by purchasing subscriptions. Each active subscription they have can grant a different number of child slots. Further if they purchase multiples of that subscription, they will have that value multiply the number of slots that they get. As an example, if your Membership subscription gives 5 children, and they buy 4 subscriptions, they would get an additional 20 slots. umbrella_child_count – Passes a single parameter, the current maximum child count. By hooking into this filter, you can add your own PHP driven logic for calculating the maximum number of children an account can have on the fly. 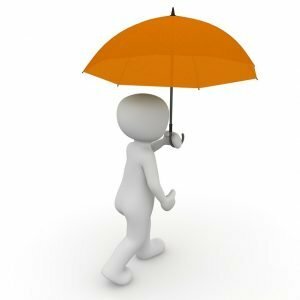 What are Umbrella Accounts? 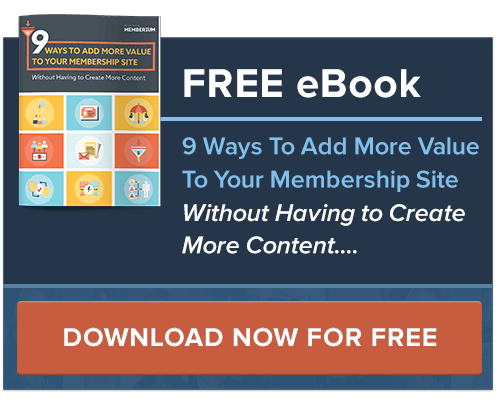 How does it work with a Memberium membership site? [VIDEO] Step 3: How do I setup child user permissions with Memberium Umbrella Accounts?